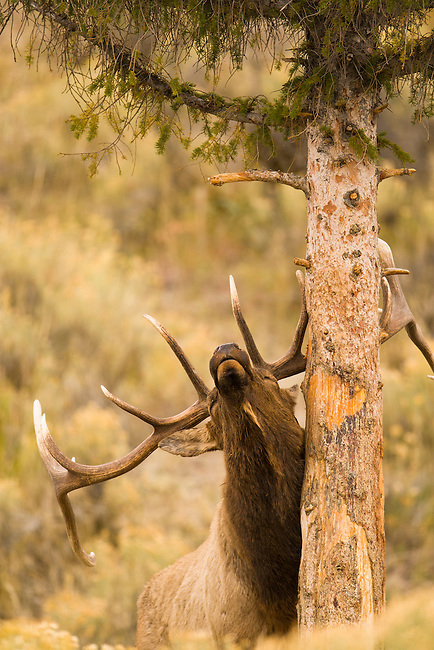 A bull elk is rubs his antlers on a pine tree to mark his territory in Yellowstone National Park, Wyoming, USA October 4, 2007. His harem is nearby. Photo by Gus Curtis.